At the end of the twentieth century, international business functioned in an environment dominated by the triad of economic power formed by the USA, Japan and the European Community. Multinational corporate strategies had to be formulated within the context of intense global competition between these three economic blocs. 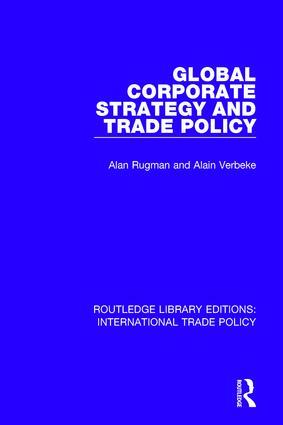 This book, first published in 1990, analyses the interplay between the trade policies adopted by the major powers and the competitive strategies of international corporations. With particular reference to trade relations between Canada and the USA, the effects of Japanese multinational dominance and the implications of European economic integration, this volume throws new light on the interaction between international business and government trade policies.